Recently I have been taking part in a MOOC (a multimedia on-line open-access course) about positive psychology – led by Dr Barbara Fredrickson. I have really enjoyed learning about the 10 most important positive emotions (as listed in the picture) and how noticing and embracing them more than negative emotions can have a positive effect on our physical and mental wellbeing. She renames love as positive resonance and explains how we can increase this in our lives and therefore help our own health and others’ wellbeing, by using loving-kindness meditation and/or making the most of micro-moments of shared connections with other people we meet in our daily lives. This doesn’t have to be just our family and close friends, but can be anybody we meet. 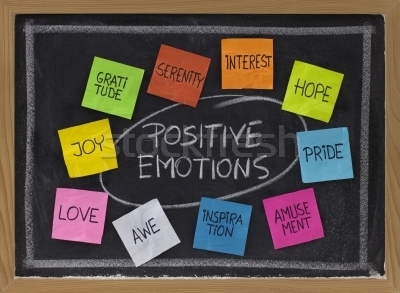 This entry was posted in Jacqueline and tagged positive emotions; positive resonance; wellbeing. Bookmark the permalink.